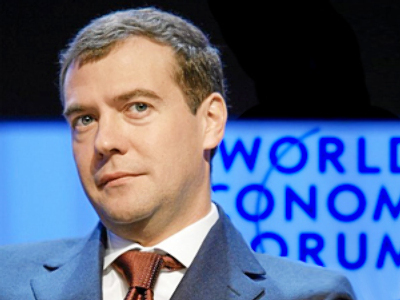 The submission of questions for President Dmitry Medvedev to answer in his opening speech at the World Economic Forum in Davos on Wednesday is now underway. 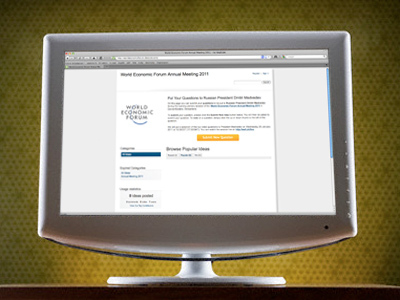 ­The questions can be asked on the forum’s special page http://wef.ch/AskDmitriMedvedev. A selection of the most popular and interesting questions will make the shortlist, which will be handed over to the president. Visitors to the website can also vote for the questions they like most. This year’s Davos forum will take place from January 26 to 30. The meeting will convene under the theme Shared Norms for the New Reality. The participants will share their views on how to live and interact in the increasingly complex and interconnected world, which is at the same time experiencing the corrosion of common values.